You might find some clever goodies at the dollar store. 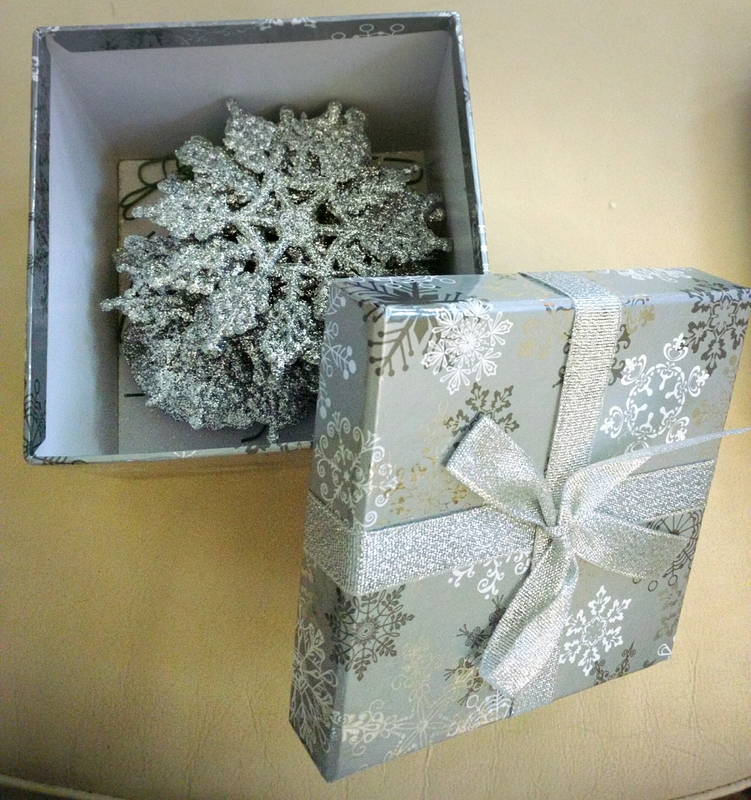 A few years ago, I bought silver and gold, printed and ribboned boxes of various sizes that nest into each other for about $20. The best part about them is that they are reusable year after year.